One of the reasons that marketing automation is so effective at converting leads into customers is high-quality lead nurturing. Every article, blog, ebook, and webpages on a website needs to provide real value to the reader to be considered high-quality lead nurturing content. This higher-caliber of more relevant content will improve the customer experience by educating, inspiring, and engaging them. Leads are visiting various websites in search of answers to their problems. It is rarely in search of a specific item that they want to purchase. Instead, they are looking to fulfill a need. For example, they are not searching for Eucalyptus oil, but they are looking for an all-natural solution to their joint pain. The content in the article should be directed at dealing with joint pain naturally and then subtly mention how applying warm Eucalyptus oil to your sore joints will provide relief. Lead nurturing content can improve the customer experience by educating them on alternative solutions to their problems. Lead nurturing content will be more effective if it is catered specifically to each person’s wants and needs. By using marketing automation to profile each lead, marketers can group leads with similar interests and behavior together, and then create lead nurturing campaigns to specifically target each segmented group. This will improve the customer experience by giving them the feeling that someone is listening and responding to their needs and wants. High-quality lead nurturing is meant to educate a lead, while guiding them towards a specific product or service. The content should help them make a better decision by answering all of their questions or concerns with facts and real-life examples. This will improve the customer buying experience by providing them with all the details they will need to make an informed decision. If lead nurturing content is well-written, informative, and provides the reader with real value, it will help to brand the business or the author as an expert in their respective field. It will demonstrate that the company is knowledgeable and understands what their customers are looking for in a product or service. 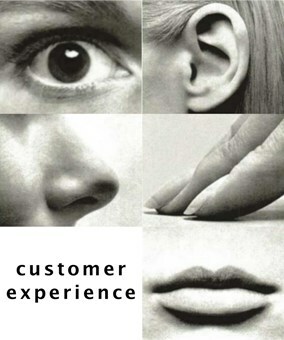 This will improve the customer experience, by making the buyer feel more confident in the company they have chosen. High-quality lead nurturing shows customers that someone cares about their needs. It helps them make better decisions and increases their confidence in the brand they choose. Fortunately, it is also not just more beneficial to the customer experience. High-quality lead nurturing will also help increase revenue generation, since quality lead nurturing will result in 50% more sales leads at 33% lower cost per lead. Everyone wins with high-quality lead nurturing content.